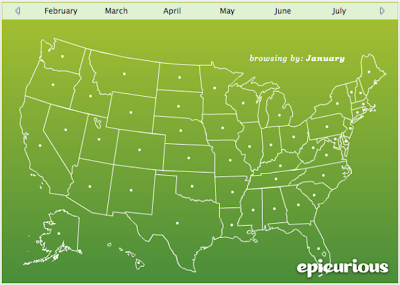 The seasonal ingredient map at Epicurious: pick the month and state you're in and immediately know what produce is in season. Use it. Eat seasonally. Be happy. interested in doing a sponsored post on there as well!